This programme is being generously supported in the form of Flax Trust Fellowships up to the value of £2000 for successful applicants. 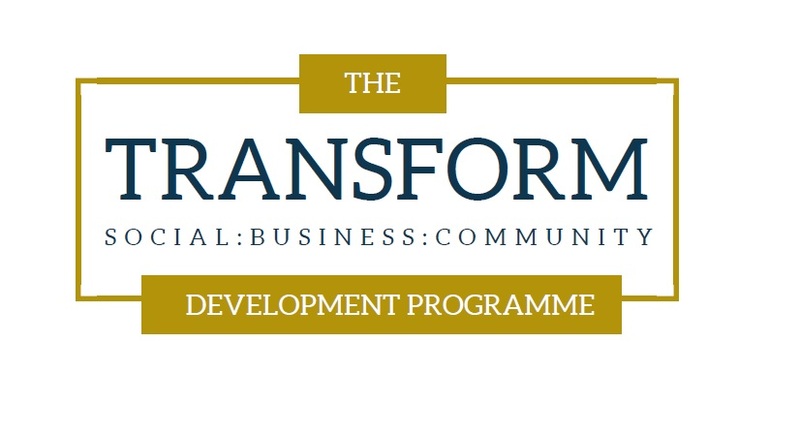 TRANSFORM is a highly focused and interactive programme designed to enable individuals to gain the knowledge and skills required to start or build social enterprise activities as a means of social regeneration, community development and financial sustainability. Who is TRANSFORM designed for? The programme is designed to provide knowledge and practical applications that will enable participants to develop and grow through a blend of; Theory, Best Practice, Case Studies, Site Visits and presentations from Exemplars & Practitioners. By the end of the programme participants will have the knowledge to start or grow a sustainable social enterprise which can lead to real transformation within their community and beyond. You can download the full programme overview here. What is a Flax Trust Fellowship? The Flax Trust are one of the founding members of the School for Social Enterprise in Ireland and are providing funding support for participants in the form of Fellowships (bursaries) valued at up to £2000. How much do I or my organisation have to contribute? The total fees are £2250 but with a maximum Flax Trust Fellowship that leaves a contribution of £250 per participant. Why is a Cohort approach important? This programme is designed to fully engage participants in building a cohesive cohort that supports and learns from each other in the short term and that will begin to build support networks that are sustainable beyond the life of the programme. What if I don’t already a higher education qualification? Applicants can demonstrate their ability to undertake this programme through the accreditation of their prior experiential learning gained through work experience. The application process, including interviews, will provide scope to fully highlight relevant experience. When is the deadline for submitting application forms? Interviews are planned for mid-September. The interview is an opportunity to expand on your application form and will help secure places and bursaries for this sought after programme for individuals/groups where potential and long term impact can be fully realised. When does the programme start and how long does it last? The interview process in September is viewed as part of the programme and successful applicants will go on to participate in 10 delivered sessions (1 – 2 days per month) commencing in October 2018 and 1 day of participant presentations in May 2019. The ADSE Graduation will take place in July 2019. Delivery of the programme will mainly be at the Business Institute, Ulster University, Jordanstown campus. View the course timetable here. What happens if I am not able to attend or drop out? As this is s developmental programme it has been designed on the basis of full attendance. If participants have any difficulties they should contact Steve Pollard at the University in the first instance. Where there is reasonable grounds for absence, each case will be assessed on its own merit. Participants will be expected to catch up with the materials and complete all assignments. If you experience any issues in downloading any of the documents please email SocialEconomy@podiem.com and we can arrange to email copies directly to you. Ulster University Vice Chancellor Paddy Nixon and Sister Mary Turley, Flax Trust, with David McPhillips and Aaron Thompson, Killynure Community Association. Come to us with a passion to make a change, develop something new, deal with a social problem – we will support you with the knowledge, skills and tools to turn ideas into real world projects that change lives. Coming from a community organisation I was thrilled to get a place on the programme as the financial support from The Flax Trust made the difference between going and not going. We have an exciting and challenging initiative to regenerate the heart of Carryduff through a mix of social enterprise, community initiatives, private sector development and the local Council. 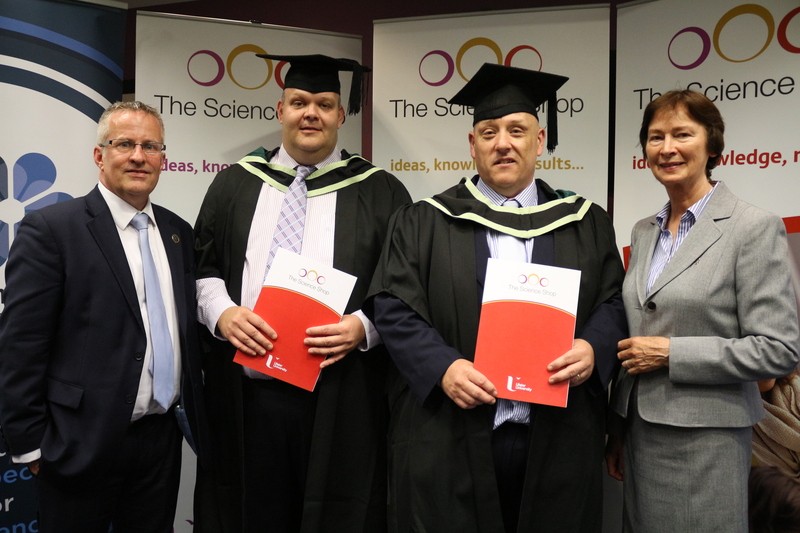 The course content, the support from the lecturers and the experiences of the rest of the cohort, has helped develop my business skills which has given me the confidence to play my part in building sustainable social enterprises for the benefit of our community. The skills transfer provided by the guest speakers was particularly useful. For charities looking at social enterprise as a means of sustainability, it helped put in context that ‘moral’ challenge we often face when considering ‘commercial work’. A great deal of my inspiration, understanding and learning came from my peers. I have gained connections and friends that will be with me for a very long time. It was beneficial to see how others think and approach community work and fantastic to hear their innovations and ideas for the future. Through the excellent academic sessions my new understanding of governance, risk, finance, marketing, measurement, funding opportunities, human resources has allowed me to contribute in a more meaningful way to this organisation. My experience and feedback so far has stirred quite a lot of discussion around planning and finance in our community group. It has made us look at how to harness the expertise we have and how to attract that which we are lacking. The bursary was crucial in funding my participation. Very interesting mix of practical and theoretical content. Guest speakers sharing their expertise has been particularly inspiring. The learning from a diverse group of participants is invaluable, sharing perspectives, knowledge and understanding etc. It is also pleasing to have the reassurance that ‘you are not alone’. The assignments were useful in that they forced us to think about what we had learnt to date and the research involved in the assignments has been useful in terms of sourcing new ideas for SE ventures. The programme has been very useful as well as making contacts and networking particularly with my class mates. Parts of the programme have given me the confidence to participate more in meetings and also in the visits we receive from other organisations I am more confident talking about social enterprise and what it is or can be. I have new ideas and better understanding of how I can bring these to fruition. Outstanding programme, the confidence and encouragement I received was overwhelming. The programme has giving me greater understanding of the sector, increased my networking opportunities and given me the ability to develop my idea into a viable business plan for my organisation. Aisling Nugent, Centre Manager, Mid Ulster Community & Arts Trust Ltd. Completion of the Advanced Diploma in Social Enterprise has been an interesting and rewarding experience. It has enabled me to gain insights into the operation of social enterprise and the challenges of developing successful social enterprise activity. I would recommend this course to anyone who is seriously considering starting a social enterprise. Gave me a wonderful insight into the whole social economy sector. Coming from the private sector I thought I had a good grasp on business and while that was the case, the programme helped me to transition in to a social business mind-set and understand the different nuances that are so important. The networking was also very important and beneficial for me. My main objective was to further develop my knowledge in the area of social economy businesses and the third sector. I was really thrilled to receive a Flax Trust Bursary as it provided the support I needed to gain a place on the programme. The assignments have challenged me to think in a more strategic way. Having to put my ideas and actions into words makes the process much more meaningful. As a recently appointed Business Development Manager, my role is to develop several new business ideas from concept to operational enterprises. This programme gave me the skills to work through this process using research and feasibility studies and the creation of business plans. It gave me the confidence to implement my ideas and take on the operational management of the new ventures. I was impressed with the quality of the teaching materials, the range of issues covered and the experience and mix of staff delivering the modules. The course has made the organisation more outward looking, taking a more business perspective on project concepts and be more conscious about the financial viability of any new developments within the Bryson group. Completion of the Advanced Diploma in Social Enterprise has been an interesting and rewarding experience. It has enabled me to gain insights into the operation of social enterprise and the challenges of developing successful social enterprise activity. It is not always possible for people in social enterprise to gain access to high quality development such as this and the Flax Trust bursary is invaluable so I would recommend this course to anyone who is seriously considering starting a social enterprise especially. The course has giving me greater understanding of the sector, increased my networking opportunities and given me the ability to develop my idea into a viable business plan for my organisation. Participating on this programme, made possible through the Flax Trust Bursary, has enabled me to enhance my career in management made a real impact on my organisation.